I spent years and years trying to figure out just exactly what I wanted to do with my life. I went to college, majored in Communications, got a job in Marketing after graduation and figured my "career" would be working in a job that I liked just fine but wasn't passionate about. Then I became a mom and after many trials and tribulations, it all became clear. Through motherhood, I received the greatest gift of all: the answer to the "What do I want to be when I grow up" question. A few Sundays ago, I stood before more than 100 people and shared my family's story for the first time in a crowd of that size. I put together a presentation that discussed Aiden's birth, the shock of learning he had Apert syndrome, everything he's been through including surgeries, challenges and teasing. Then I shared ways to address differences with our children -- based on situations I've encountered first-hand when out in public with Aiden. At first, I was unsure that a group of my peers would find my story - and my advice - inspiring. But I trusted that what I had to say was valuable. That my family wasn't the only one who wanted to convey this very important message. That others might actually wish to tell people the same thing: talk to your kids about differences, encourage them to ask questions, set a good example for them...and just simply...to Choose Kind. When all was said and done, I felt amazing. Person after person approached me afterwards letting me know how touched they were. They asked questions. They shared situations they've been in when they didn't know how to handle something their child had said about someone with a disability and thanked me, saying that now they knew what to do. I gave out my blog cards to some who wanted to share my contact info with this school or that group to have me come speak. To say that I left feeling extremely confident in my mission to educate others is an understatement. I can't wait to do more! In the next 2 months I have several different speaking engagements scheduled. Everything from addressing the topic of family centered care with a group of nursing students to talking with elementary-aged kids about the book Wonder and "Choosing Kind". Perhaps the project I am most excited about is one that will be hitting the ground running starting today. This morning, I met with the principal and some staff members at my boys' school to discuss an idea I presented to develop a "Choose Kind" library. A dear friend of mine helped bring this project to life at her kids' school in Texas and I couldn't wait to share it with mine. As a member of the PTA, I shared the idea and in a few short weeks, not only has the school embraced it, but they have breathed life into it and jumped on board to make it a success on a level higher than I could have even imagined. 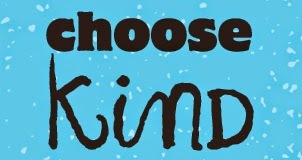 What is a "Choose Kind" library? Basically, it is a nook of the library that will house books with specific subject matter. Titles dealing with acceptance, differences, social challenges, etc. At my boys school, they've decided to hand this project over to a very special group of 5th graders. It will be their job to plan, organize fundraising for, and manage the creation of the "Choose Kind" library from start to finish. It has been designated as their annual "legacy gift" -- the item they leave behind for future students to enjoy. And what a legacy it will be! I will be overseeing the project and helping them along the way and I cannot wait to see it come to life. It all starts to take shape in a few weeks when I present our story and talk about kindness at a school assembly with the 3rd, 4th and 5th grade students. Then the selected 5th grade students will kick off the project, sharing the library initiative with their peers for the first time. At the end of the year, we are planning a big celebration where we will invite students, their families and the community to attend a ribbon cutting ceremony for the completed "Choose Kind" library. It gives me chills just thinking about the potential impact this project can have at our school. But it doesn't stop there! The school has decided to match every book donated to the library as part of this project and give them to an underprivileged school in our area in hopes that they too will start their own "Choose Kind" library. We have a huge opportunity here to touch the lives of students beyond just those at our own school. I mean, how amazing is that?!?! I can't wait to share our progress along the way. *If you are interested in hearing more about the Choose Kind initiative and would like to have me come present at your school or community group, I would love to hear from you! 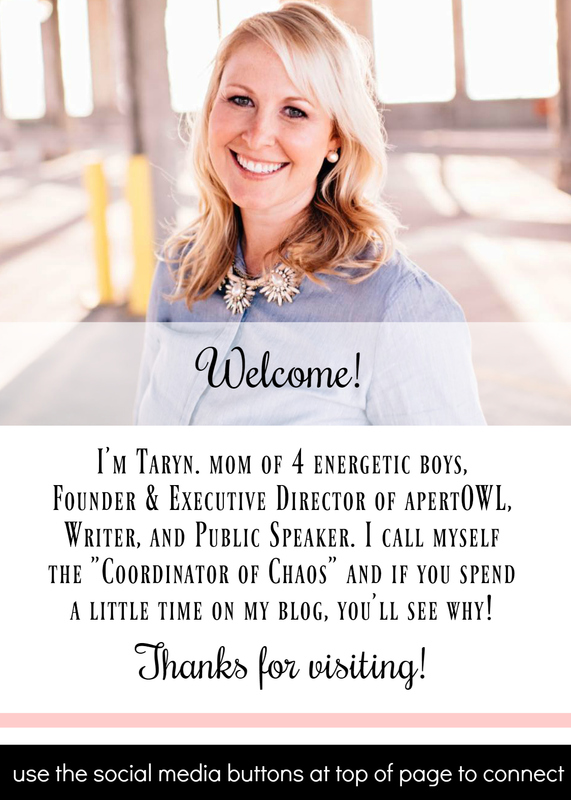 Please email me at tarynskees@gmail.com. I just love reading your posts! You are doing such a great job of not only advocating for your kudos but also teaching them to advocate for themselves and others! I find it very inspiring and I'm so excited for all the good you'll do in the future!) good luck! I truly believe that the best hope for social change is educating our youth to be that change, awesome! Kiddos, I meant to say kiddos not kuddos!